Yin-Yang wrote: This is a good start; even if it sounds like a remote fantasy. The country has been driven in very wrong directions. In order to change that, somebody should start something with an honest heart. This forum is a good place start some movement; it may be very minute at the beginning; but remember, massive trees are started with tiny seeds; Gigantic avalanches can start with a pebble. Yes. Don't go too far but we have a similar example in our neighbor Pakistan. Imran Khan started the struggle 20 years later and faced many defeats, rejections as well but finally came to the place he fighted for. So why we cant now and there must be good harvests at the end of the investment period. Yes SLS will help you certainly,But what country needed is a attitude change.As YY said will start small and grow enough to make the change. Definitely count me in sir....we will vote you. sls are you serious? ?...We are really happy if you are serious ..
on the paper both are saints, both never done a wrong , both never lied,both helped people their whole lives, and both wants to correct the wrong path of the country..
What they will do after elected is completely opposite of you say. You speak the present truth ET. Do you want it to be also the future truth? So are you going to vote for one with qualification in your list again? 1) Ability to say lies. 2) A self made proven thug. 3) Take few lives for nothing. 4) Close connection with drug dealers but keep close connections with religious dignitaries. 5) Say one thing & do something else but still able to justify his doings. You don't have any of these qualifications. Hence, you are not my choice SLS. Past is a good indicator of what to come in Future. I am sure now some people will give likes to you too. If you are such a good person, I wont be able to vote for you in presidency, because you will never be nominated by a political party, even for a municipal council,, you will not be able to get elected even at municipal election.. your own village people will reject you. So the voting at presidential election does not arise..
Ex: Did MR allow corruption, no Law and Order and less freedom of expression in the past? Why did he try to extend a 2 term Presidency for 3 Terms ( when most world leader gracefully step down/retire after service) . Has he got rid of his old gang and his ways now after he admitted let corruption during his time? If not it good indicator that he is gong to do it again in the future! Ex2 : For Ranil, it should have been the first warning when MS crossed over after eating Appa. Why? Can such a person do the same again ? Yes, It happened. He joined the same person without worry in 2018 he before said he would have put him 6 feet under the ground had he lost in 2015. Ex 3: The way Ranil acted or protected the Bond Scam wrong doers at Parliament (even before a formal inquiry was done) gave indication he was not going to bring the scammers to justice in the future. It never happened. Past/Present Behavior is fair indication ( not perfect) it will be repeated in the future. Out of curiosity how old you are? Are you in your late 20s by chance. malanp wrote: If you are such a good person, I wont be able to vote for you in presidency, because you will never be nominated by a political party, even for a municipal council,, you will not be able to get elected even at municipal election.. your own village people will reject you. So the voting at presidential election does not arise.. Number one crook always shows he is number one saint..and we fallan to trap..So how do i know you are same catagory..
MR had very good characteristics before he became president,, he hid all his bad qualities, or nobody exposed him..I came to know his unbelievable robbing of Fisheries Harbour corporation while he was the fishires minister as their Finance Manager was a friend of mine,, He fired him at last as my friend was not corpoating with him.. I did not believe at that time, I I thought my friend was inefficeint that is why he got fired.. after 10 years I realised who MR is and my friend was right.. I think Ranil is there only by one reason,, International world trust him as a reliable person. when it comes to believing ones own words, MS and MR are miles behind him.. I am always with people of your caliber but wanted to highlight the type of cesspit now we are in as my initial contribution. Will come back when time permits. You are spot-on on today's politician in SL but certainly not for the one that we need to see 20 years from now on behalf of our children. In order to create that politician in 20 years from now we need to have the kind of people entering from now onwards. "how do i know you are same catagory.."
2) You obviously have not read my original post or known me long enough. Else you would not ask this question again even after I replied. 3) You have mentioned some good qualities of Ranil below and obvious you like him. When it comes to Ranil you have answered your own question "how do i know you are same catagory.." . So you can now use part of your same judgements for others. Else you are contradicting yourself asking the question " "how do i know you are same catagory.." You have already done it for Ranil. Btw, if you say Ranil is a saint and no one used the word Crook againt him , well I got news for you. Just ask so many who will oppose you and why they oppose you. Btw yes I think Ranil is more of Gentleman Stateman in certain behaviors than others. Due to same , some of his qualities International people like. I started the below thread to know what principles , mottos , judgement rules people follow. Do you have any? malanp wrote: Number one crook always shows he is number one saint..and we fallan to trap..So how do i know you are same catagory..
Malanp what you think about bond scam and RW behavior after that?.. I just wanted to show the reality at present, with a rude statement, but its the truth on the ground. If a good one with professional qualifications and good character wants to win the presidential election he should obtain the permission from one of the leading political parties which can produce presidents in this country. Any other political party (however much they talk big with clean sheet etc.,) can not produce presidents as more than 70% of our voters are married to major political parties. The list of qualifications I jotted down represents the criteria used to select the presidential candidates in those parties. Therefore, we all need to cleanse the two main political parties before we venture to contest the election. 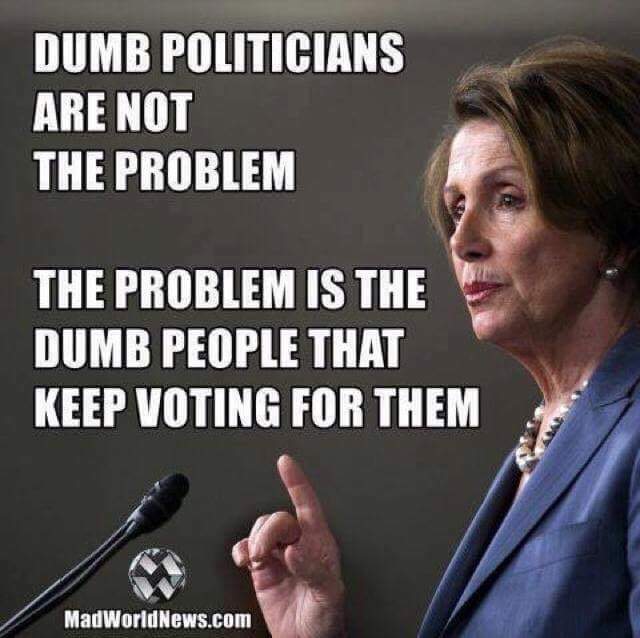 Their thinking need to be reversed first, as they would never allow you to contest the election under their banner with the current selection criteria. Until such time, you & me will be compelled to vote for the candidate of their choice or abstain from voting. slstock wrote: You speak the present truth ET. Do you want it to be also the future truth? I dont say Ranil is a gentleman or I will vote him,, I said that is how the International world sees him, US, India,Uk and EU..They want a trustworthy person and unfortunately we could not produce a single politician , only close person is Ranil. Just for a question, Do you think Narendra Modi will do to India what MS did to Sri Lanka????? Never. So even south asian standard Sri Lanka is far behind..
so will ever an outside political decision maker will rely on a word of our president or PM in thier calculations?? make a political decision????? I dont think so.. And Sri Lanka is heavyly depends on their political decisions and calculations.. I got to go now,, see you later.. This post was not to talk about RW,MS, MR . I also recall once you asked whom to vote in 2020 as everyone is corrupt? I gave reply. Now , I have given you an option . Anyway , for what it matter as an answer to my question, I guess I can count you out for a Vote for me right now. Easy peasy no worries. I only took all time to converse with you, possibly a young man in late 20s. Well guys and SLS, The world is not going to end after 2020, just remember it as the first. The second is that any new thinking cant be up strait away under the current political context. If we want to make our view happen then we need to inject sufficient time as well. That is second. The third is irrespective of the person we can sell a suitable, appropriate and workable work plan to the society. When the public embrace it they will support the person/group that backed it. That is how MS came up. That is third. The fourth and final is if we start something good with good motive and the betterment of society then we must be able to stick with it until we reach our destination no matter how long or how hard it will be. We just live with it so be prepared to fight for long not just to get it over the line in couple of years time. With that I am happy to say that I am beginning to prepare a work plan that will address the key issues our motherland is facing and the hurdles we need to be cleared if we want to reach a developed nation statues with over USD 10,000 per capita GDP. You are relatively new to this forum. But as mentioned before, I see you have talent and insight. As a start to know you better I like to know you more by your personal life Principles / Mottos you follow. There is thread were you can express it. It may be beneficial for society too. a) stand against corruption, instill law and order , and make educated and ethical people part of Parliament and head of state enterprises. b) I will not tolerate a spitted Sri Lanka but only a united one with All races and religions living in harmony. d) I also promise to respect and recognize all other religions and races to have freedom and recognition they deserve on merit and as free and law abiding citizens of Sri Lanka. Why do I oppose you if you can deliver above things ? Of course SLS, there are few people who could pass the criteria/test (you outlined when you announced your candidature ship) in some of the main political parties. Take for example Karu in the UNP. The leadership will never allow him to contest because he has not passed the criteria outlined by me. Of course, he could easily pass your criteria/test.